Below is a preview clip for the powerful Manual Handling video 'Child's Play'. We are constantly receiving positive feedback from our clients. They tell us that this is the only Manual Handling video that gets the message through, and sticks! This is such a fun and effective training video and it also comes with 3 posters you can put up around your workplace. 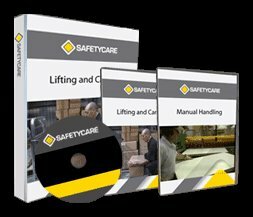 Check it out for yourself, we're sure you'll agree that there is no more effective Manual Handling DVD than 'Child's Play!